Italian fashion company E.C. SpA, which holds rights in the Costume National brand, has won five lawsuits against two different Chinese companies stemming from their unauthorized use of C’N’C Costume National's intellectual property. 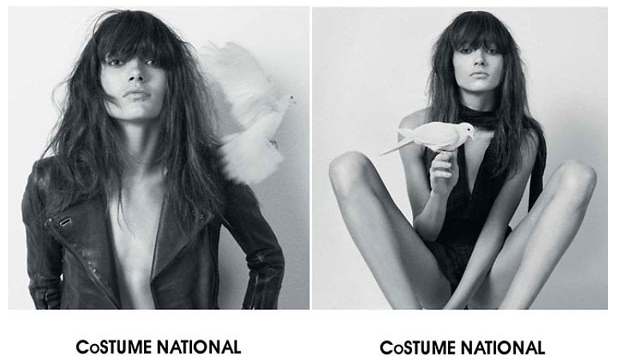 According to our friends over at WWD, “thanks to a unique trademark law in China, the two Chinese firms were able to register the C’N’C Costume National brand in the country, preventing the Italian company from depositing the original C’N’C’ Costume National brand in that market.” While this is generally correct, the “unique trademark law” in China to which WWD refers, is certainly better characterized as a lack of trademark laws to protect legitimate rights holders. In fact, it was only a year ago that China revamped its trademark laws, thereby, aiming to prevent such illegitimate trademark registrations, which have become an overwhelming issue for foreign brands doing business in China. Thanks to the newly enacted Chinese laws, brands have increased access to the Chinese Trademark Review and Adjudication Board, which has the power to invalidate registered trademarks. The major changes to the existing trademark laws in China include: an increase in the level of damages the court may provide for trademark holders’ whose marks have been infringed (the limited is now $480,000 per infringement, six times more than the current maximum), procedures to reduce bad faith filing, a quicker turnaround time for trademark applications (the China Trademark Office will complete its examination of an application within nine months), stricter standards against the unauthorized use of “well known” marks, such as Costume National. The revisions to the current trademark law in China were approved this past August (see them outlined in a bit more depth here) and mark the third major revision to the law; the Chinese trademark body of law, which was created in 1982, was amended in 1993 and 2001. Such revisions, especially the ones that address bad faith applications, are positive for designers and design houses, many of which have been subject to extensive trademark infringement schemes. You may recall that the designers behind Italy-based design house DSQUARED2 were involved in a fairly lengthy legal battle (and technically, still are), after they were denied the right to operate in China, as Nuohe (a China-based business) had already trademarked the DSQUARED2 name. Other brands, such as Costume National, Iceberg and Dior Homme, have also been targeted. NYC-based Phillip Lim has experienced similar problems, as well, forcing him to adopt a China-specific trademark because someone else beat him to registering his name in China – there is legal action pending in that case, too.